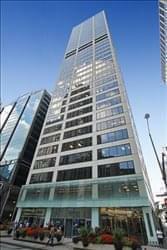 Find My Workspace lists over 95% of the executive office suites market in Chicago. Simply click Request Quote to check pricing for one office, or Add to Basket for multiple offices. This lofted office space is in the chic design district of Chicago’s River North. You’ll be right off the Brown and Purple lines and just a ten-minute walk from the loop. With easy access to the Merchandise Mart and all of the great interior design shops, this spot is great for Modeling Agencies and designers. It’s a long room with ample light from the skylights above. Space comes with an En-Suite bathroom and Kitchenette. Breather will handle all service to the office and wifi, utilities, etc are included in the rent. Office comes without furniture, but can be furnished with one-time charge move in fee. At this center, enjoy the gorgeous natural light at this space in Chicago. The minimal design gives you lots of room to create, while the table invites you to collaborate, making it the perfect office away from the office. With whiteboards to brainstorm and plan with team members, there is plenty of privacy to get work done. 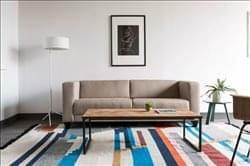 This beautiful space is maintained by Breather. 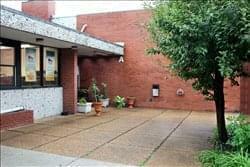 It offers a 1300 square foot office space located in the center with a view of the courtyard. There is sunlight all day, and the office space is equipped with an En-Suite kitchen and UniSex Bathroom. Designed for 32 people in the open office at the tables and chairs currently set up in the room. It can seat up to 40 people in workstations. The rent is all inclusive of utilities, wifi, insurance, etc. The office is already furnished and comes as is. We can replace or move furniture for a one time fee depending on the furniture. This office space is a semi-furnished room which gives you a cozy yet vibrant community atmosphere. This two person center comes equipped to hold up to 4 team members, making it an ideal location for efficiency. 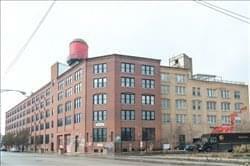 The concept of this location is a revolutionary approach to the work and play superstructure that focuses on collocating highly creative and entrepreneurial organizations with community-based programming. 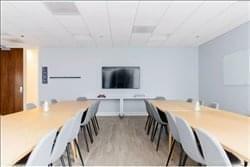 Some of the amenities include a reliable Wi-Fi connection, 20 hours of conference room credits a month (1 credit=1 hour), access to the cafe, and access to Print, Fax, and Scan (PrintWithMe). Secure a place in these exquisite and luxuriously furnished new office suites set within a prestigious and premier quality corporate office building located directly across the street from the locally renowned and highly popular Millennium Park. 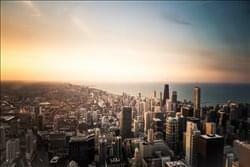 From the 51st floor you will take in views of Lake Michigan and Navy Pier, in addition to the numerous other sites of public interest found throughout the locality and its surrounding areas. Direct access to the Fairmont Chicago Hotel, the Lake Shore Athletic Club, the Chicago Pedway System and Michigan Avenue merely steps away, sets you up to close your next big deal. With a highly convenient and luxuriously supplied first floor location, this exquisitely furnished center offers modern and professional conference rooms to accommodate 1- 40 guests, free dedicated and high speed internet connection, conferencing capability and dedicated corporate telephony, coffee and tea (and catering), notary services, print, fax and scan capabilities, a deli, a fully serviced restaurant, 24-hour security, an on-site convenience store, a luxurious and professional high end hair salon and an exclusive fitness center and health club is also located on the premises, provided as standard for client use by all occupants. This center offers wonderful natural light throughout each space. It has a modern cozy design to let you be able to work and relax at the same time. The offices come fully furnished and offer a few executive amenities; Flatscreen TV, high-speed Internet access, kitchen, and a lobby staff. 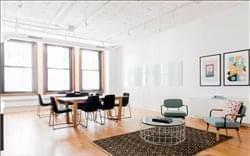 Located in the very heart of the vibrant district of downtown Chicago, this is an exquisitely furnished and exceptionally well supplied co-working loft, which provides both open and private layouts for exciting, engaging and collaborative workspace solutions within a highly desirable and ideal working environment. It believes in assisted serendipity, and the luck that happens when entrepreneurs and small businesses share space and are serious about success. 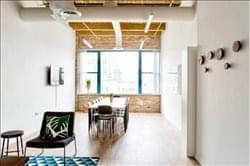 Exposed brick walls and expansive windows that give great natural light and a view beautiful River North space. Padded seats, multiple whiteboards, and TV for presenting make this the perfect space for in-house meetings, off-sites, and group workshops. 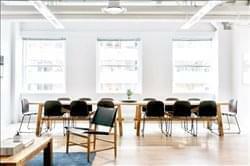 Strategically located in the loop with easy CTA and Metra access, this center offers seating for 12, ideal for smaller team presentations with a separate lounge area for casual meetings. The minimal design gives you lots of room to create endless ideas. With whiteboards to brainstorm and plan with team members, there is plenty of privacy to get work done. This Space has a unique design, the Large window for the most desirable natural lighting. With whiteboards to brainstorm and plan with team members, there is plenty of privacy to get work done. Surrounded by many different public transport links to several METRA and CTA lines in walking distance you’ll always have a way to work. This center offers an array of on-site amenities, perfect for the professional looking for office space in the West Loop area of Chicago. These amenities include; super-fast Wi-Fi, reception services, printing and copying facilities, designer office furniture, meeting room availability, conference facilities and access to a kitchen. Accessible 24-hours a day, this center is ready for work whenever you are, and offers private serviced offices, coworking spaces and virtual office options. Flexible terms are available, and the center offers all-inclusive billing for utilities. Tenants of this space can enjoy newly renovated and furnished, professional, ready-to-use, executive offices with state-of-the-art telecommunications and IT infrastructure designed to be both stable and robust. Additionally, the space offers a wide array of administrative support services, to allow tenants to focus on being productive and not on making copies. 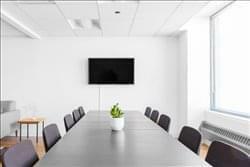 Residents of this office space can also enjoy full access to conference rooms, meeting rooms and other building amenities and services customarily associated with high end executive offices, while still receiving flexible office space options and terms. A premium shared office, blending inviting hospitality and modern design with stunning views to provide an unparalleled office experience in the heart of Chicago. 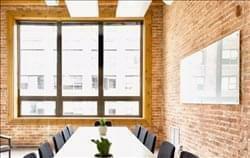 Members enjoy the productivity of a private office and the energizing atmosphere of a close community, made up of diverse industries including creative agencies, growing start-ups and professional services firms in real estate, consulting, finance and legal. Private offices are available for teams of 1-40, as well as limited coworking and dedicated desk memberships which include 24 hour access, private locked offices, custom-made furniture, complimentary coffee and gourmet pastries and a fully stocked beverage fridge. This space is available on flexible terms with all utilities plus; wifi & ethernet, mail & package services, unlimited printing & copying, concierge services, conference room hours, as well as access to national networking events. This center offers a top prestigious corporate presence in the heart of Chicago’s Magnificent Mile, with a warm welcoming reception, great conference rooms and executive offices. Other amenities include; 24-hour access and security, conference facilities, a board room, postal facilities & mail handling, a fitness center, bike racks, showers and an on-site management team. This space is perfect for small companies, start ups, branch offices and out-of-town or local clients looking for meeting space. 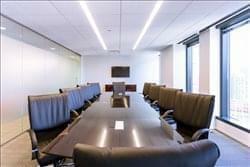 Located in the middle Chicago’s business district, this versatile space has plenty room for a large teams features a Flatscreen television, two 100-inch projection screens and a few dry erase boards for memos and brainstorming. Room 1 and/or Room 2 to provide extra seating A lounge and breakout table provides seating for an additional people who stop by for meetings. This center offers newly renovated, fully furnished, technology savvy, amenity- and service-rich private offices and larger suite style space. The all-inclusive rent includes desks & chairs, 500 mbps Fiber Internet access, phone and personal company number with free local & long-distance calls, full service kitchen, printer/fax/scan center, conference rooms, secured 24/7 building access, administrative services and receptionist on-site, physical mailing address with package reception, heat, water, electricity and real estate taxes included. Located at the top floors of the intersection of Adams Street and Wacker Drive with city, river, and tower views, this location is less than a block from Union Station entrance and across from Willis Tower. This center provides access to a community portal where you can connect with other businesses with other businesses and learn about our events! 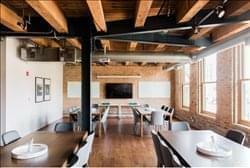 Located in the heart of Chicago’s River North neighborhood, this red brick building features lofted ceilings and abundant natural lighting, and combines historic elements with contemporary amenities such as fiber internet and and TopBrewer espresso machine. 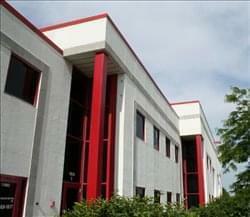 This center offers newly renovated, fully furnished, private offices and larger suite style spaces. The all-inclusive pricing includes desks & chairs, Fiber Internet access, phone and personal company number with free local & long-distance calls. There is also a kitchen, printing & copying facilities, conference rooms, secured 24/7 building access, administrative services and receptionist on-site, reception services, and all utility bills.. This center is a corner brick building with parking. There are a multitude of size options ranging from small offices to larger ones that are all newly remodeled and suit a variety of business needs. Tenants have access to a covered car park and also have access to a great views via the balcony area. There is a conference room for tenant use as well as a kitchen area and shower rooms so you can stay fresh during the working day. The space is fitted with beautiful hardwood floors and stunning oak doors and there are a multitude of small windows dotted around the space, making it light and airy. With 14,000 square feet of coworking space among two floors, as well as the reception area and a private event space situated on the 1st floor, this workspace has no shortage of space and is always looking for companies in a variety of stages (from start-up to established). This center welcomes companies that positively impact the communities around them – From non-profits to women-owned businesses, the companies that occupy the space are a variety of industries but with the same quality, determination. This workspace is perfect for you if you are looking to join a group of like-minded entrepreneurs that want to make the world a better place. 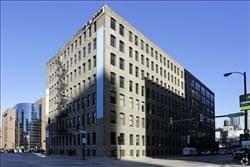 This center provides prime, furnished office suites in the down town Chicago area. 24/7 building access allows you to work when you want, no matter what time of day. Do you bike or run to work? The bike racks, locker storage, and showers allow you to do so with ease! This center provides access to a community portal where you can connect with other businesses with other businesses and learn about our events! The private office memberships are all-inclusive and include 24/7 secured access, mail service, fiber internet & wifi, furnished office, nightly cleaning service and access to amenity space with a kitchenette. This beautiful space is ready to go with high ceilings, wood floors, and plenty of natural light. It would be a wonderful choice for your team site, a large meeting, or the perfect place impress your investors. The Apple TV makes presentations a breeze along with a comfortable setting. This center offers contemporary office space in the heart of the downtown Chicago loop. The center features 1 to 100 person furnished office suites, as well as co-working memberships, all in a modern and inspiring setting. The private office memberships are all inclusive and include 24/7 secured access, mail service, fiber wired internet & wifi, access to 3,000sqft of communal space and cleaning services. Book a tour today! This center provides access to a community portal where you can connect with other businesses with other businesses and learn about our events. The building bike racks, a shower room and phone booths for your use. Looking for space larger than a 12-person office? Ask about our suite-style space! 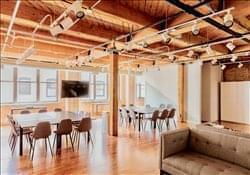 Strategically located in the heart of Fulton Market, this easily accessible space is fully equipped, featuring a 65-inch television, a ceiling-mounted projector, and a 100-inch projection screen. With seating for up to 40 guests and compete with big windows to let the natural light flood in. 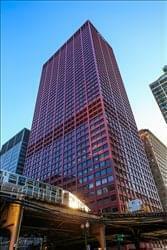 The center is conveniently located at the northwest corner of the Chicago loop, right off of the Chicago River. 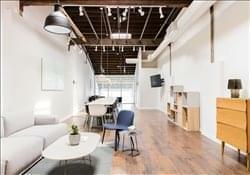 This space includes a lounge area and conference area, complete with a flat screen and AppleTV for presentations.The workspace has a unique, modern industrial aesthetic, and comes with all the productivity-boosting amenities of a downtown office, without the hike. This centre have shared private offices starting at $350 a month and private offices start at $800 a month. Luxurious offices with affordable pricing. This center is a shared office center with numerous office sizes available, which can accommodate small or large tenants, available on flexible leases. Many offices feature awesome views of the lakefront and Millennium/Grant Park. This center is a shared office environment designed to inspire creativity, encourage collaboration and promote the sharing of business best practices. It is a business community focused on helping your small business succeed and grow. This center offer shared office space, private offices and team suites, open plan coworking desks, virtual offices and virtual assistants, conference rooms and other tools needed to drive your small business to excellence. Whether you are a one person enterprise just starting out, a small company fighting for fresh ideas, or an established business working at the top of your game – the benefits of a shared office space are immeasurable. Imagine a space designed specifically to promote success in business. An office where the furniture is as flexible as you are – where you can collaborate with the top minds and experts in business and management coaching, social media management, graphic design, website design and so much more. 19 newly renovated second floor office suites, In Logan Square on Armitage Avenue. The option to expand to more than one office suite if needed is available. 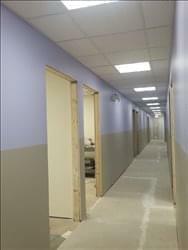 The center offers three unisex restrooms, offices that are fully carpeted with all utilities included. The center allows for 24-hour access with a directory entry phone. The center offers easy street parking, and public transportation within few feet of office suite entrance. This center is revolutionising how people work by creating private co-working spaces for growing businesses and established professionals, including private glass offices, beautiful common spaces, and hospitality where it’s least expected. In this 21,000 square feet space on the 3rd floor of a beautiful building this centre is situated in the heart of River North, the city’s hub for creativity and entertainment. To obtain information for your selected Chicago Executive Office Suites, please tick the "Add to basket" box for each office you prefer and complete the form below. We will then send a detailed report via email.